Bad reviews. Every business gets them but few businesses know how to respond to them. It can seem overwhelming when one bad review from a cranky customer can tarnish your reputation for all future customers. Instead of being afraid of the damage a negative review can cause, think of it as an opportunity to build respect for your business. Here's how to do it. Picture this situation: you are scrolling through your Yelp page making sure the information is up-to-date, adding photos, etc. when out of nowhere you spot your first one-star review. Immediately, you want to type a response defending your business while putting the customer in their place, but before you hastily reply there are a few things you should keep in mind. According to the Forbes article, “Handling Haters: How to Respond To Negative Online Reviews,” the most important thing to do after finding a negative review is to take a step back and cool off. It can be easy to overreact and make the situation even worse. Even if the review is completely false and you want to make the truth known, you still need to compose yourself and formulate a polite and professional response. One of the most important parts of responding to a review is to validate the feelings of the reviewer, no matter how off-base they may be. According to the article, “5 Tips for Responding Positively to Negative Online Comments,” whatever you do, don’t ever say the problem is a result of something the client has done, pay attention to what’s been said and respond in a balanced, professional way. In the article, Vivian Wagner advises to keep the responses short and to ultimately remember that everyone is reading your response, so it’s a great way to get free PR. No one expects your business to have a perfect reputation, but engaging with users, both happy and unhappy, shows a level of responsibility future customers will appreciate. The last piece of advice Wagner recommends is to hire someone to do your responding (hint hint!). According to the author, “having someone to manage your social media presence is perhaps one of the best ways to keep negative comments from ruining your day.” This helps take the emotion out of the process and allows for a buffer between you and the reviewer. Not to toot our own horn (but we will), RevLocal offers a platform to not only manage existing reviews but also generate new reviews. Our review marketing tool, Renown, will help generate new reviews and maximize their positive effects while also monitoring for any negative reviews with real-time alerts. Claim your social profiles — claiming your online directories will ensure you have full access to respond to negative reviews. Address the problem directly — acknowledge the reviewer’s pain points and apologize. Keep it short — long review responses start to come off as defensive. Be polite and keep the response to a few sentences. Take the conversation offline — give a way for the reviewer to reach you. A phone number is a great way to show that you are ready to have a real conversation and arrive at a resolution. Remember, negative reviews are bound to happen and may not be a true indication of how your business is doing. 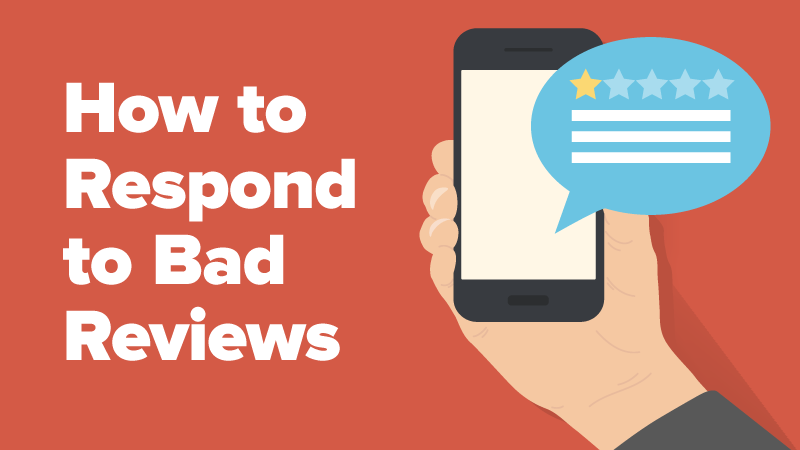 People are more apt to write a review after a negative experience than a positive experience. Can you think of the last time you left a review about service that was particularly great? Most of you probably haven’t done that often or ever. There’s always going to be haters but as long as you can respond positively and in a timely manner, your business will be just fine!